As it stands, your firm may not have the in-house expertise, time, or resources to prevent, detect and respond to rising cybersecurity threats. However, if you're not building a solid “Defense-in-Depth” security strategy, it can create significant long-term gaps. Security consulting services can be the solution to the dilemma of minimal resources and time, providing the greatest value and knowledge to handle the latest cyber attacks, threats, and vulnerabilities. Here are five reasons you should consider using security consulting services to maximize the value of security for your organization. An evolving threat landscape will require that your organization constantly review and analyze new risks, the threats, and the vulnerabilities that can adversely impact your business. Security assessments ensures that your organization stays ahead of the game when it comes to security risks. For many businesses though, staying on top of the latest security threats, with attacks happening every day, can be very extremely overwhelming. Security consultants are adept at building security roadmaps tailored to your readiness. Each security solution proposed will have a recommended plan and will be paired with the strategic goals of your organization. The roadmap will also be carefully developed to complement your current IT environment. Of course, these questions aren’t an exhaustive list but provides you with a glimpse of what a professional security consultant can offer you. As mentioned before, a team of professional security consultants will be able to build a tailored security roadmap that aligns to your organization’s short-term and long-term business goals and objectives which leads us to our next point. Interested in a security assessment and planning session? Contact us here. Many companies consider security a cost center rather than a business accelerator. Security can be used as a business accelerator if properly scaled for return on investment (ROI). Much of what your CEO and Board are looking for are a simple return on investment to prove security investments are a worthwhile endeavor. According to a recent Forbes survey, in weighing Innovation (next-gen technology) vs. Security (protection of current assets), Boards are willing to focus funding on security investments if proposals come with a solid business model – 82% of executives across Europe and North America say security investments will rise in 2017. 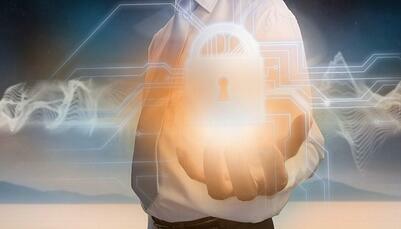 Learn about five high-value security consulting services in our recent blog. Read more. Security consulting services build a long-term, mature security roadmap that accelerates your security return on investment. A security consultant will do this by working closely with your team to understand business objectives, goals, and metrics that move the business forward. They will then align those objectives to build a specific use case for your business, specifically next-generation anti-virus systems, endpoint protection, or MSS. Your security team will inevitably be busy with many other projects and initiatives. Therefore, security consulting firms act as an extension of your team and becomes a reasonable way for your organization to tackle evolving threats and risks. A security consulting firm will offer your organization specialized expertise in areas such as security architecture, attack detection and remediation, and incident response. In addition, a security consultant will have years of experience of working with hundreds, if not thousands, of clients and the latest security technologies. The right consulting practice will develop a customized security playbook based on best practices for your environment and needs. From a compliance and regulatory perspective, security consultants should also offer certified and qualified expertise to handle ISO27001, Payment Card Industry Data Security Standard (PCI DSS) audits and scanning, the Health Insurance Portability and Accountability Act (HIPAA), Federal Information Security Management Act (FISMA), Gramm Leach Bliley Act (GLBA), General Data Protection Regulation (GDPR), and others. In fact, according to a 2016 Verizon Enterprise Report, 80% of companies are not PCI DSS compliant. Yet, nearly every business in every industry handles payments in some form or fashion. Security consulting services will keep your company up-to-date on latest compliance and regulatory requirements that continue to evolve in the industry and may impact your business. Future auditing could also impact your business, and a security consultant can help you navigate the detailed requirements needed to pass these commitments. An experienced cybersecurity consultant will know the remediations for risks and vulnerabilities in your enterprise. When you work with a security consulting firm, you'll feel more comfortable having lowered your overall risk. As the threat landscape evolves the pressure to reduce security costs leads many organizations to scrutinize how it's spending on security. You probably understand that security is important; but it’s simply a question of when and how you'll face a security incident in the future. Security consulting services help you achieve maturity within your security environment, which many organizations don't actualize. Experienced with diverse clients across many industry verticals, a skilled group of security consultants will know the pitfalls and hurdles to avoid in your security transformation. Try our FREE Security Self-Assessment Tool, developed by our in-house security consulting experts!